Breathe easier with AAMCO South Tampa, FL's cabin air filter replacement service performed by our expert techs. 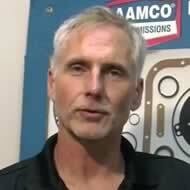 At AAMCO South Tampa, FL, the rule of thumb is to replace of the cabin air filter about every 15,000 miles. Please refer to your vehicle’s owner’s manual for factory recommended maintenance intervals for your specific car, truck or SUV. It should be noted however, that cabin air filter replacement is not always noted in the owner's manual. Trust AAMCO South Tampa, FL if you believe you are having an issue with the cleanliness of the air in your vehicle...you'll be glad you did! Stop in or call us for a convenient Cabin Air Filter service appointment today.